During the second half of the nineteenth century, Paris was the scene of an extraordinary flowering of jewelry design and manufacture. In this period many of the internationally famous houses opened their doors: Cartier in 1847, Boucheron in 1858, Lalique in 1885 and others that are now forgotten. It was as early as 1840 that the house of Falize began its career; once overlooked by historians, it is now regarded as one of the most refined and meticulous of jewelers and goldsmiths. Until its close in 1936, its story unfolds over three generations: the founder Alexis, his son Lucien who ran the enterprise in its most illustrious period, and Lucien's three talented sons who worked in the twentieth century as Falize Frères. In recent years, Falize has been rediscovered, and its jewels and objects can be found at auction sales fetching handsome prices because of their rarity and quality. Falize jewels often have fascinating histories, as their clientele included such illustrious personalities as the Imperial Russian family, the Roumanian royal family, Sarah Bernhardt, Colette and many more. In researching this story, Katherine Purcell managed to trace a surviving member of the family, Robert, who shared his memories and allowed unlimited access to the Falize archive of historical documents and beautiful watercolour drawings and sketches never before published. The author's background in the London jewelry business has given her an advantageous position in analysing the art of the Falizes, their inspirations and pioneering techniques. 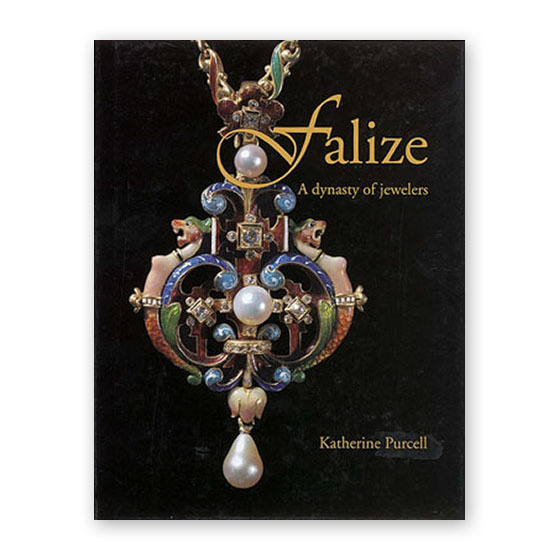 For those already acquainted with the firm of Falize, and for all lovers of jewelry, this detailed account, with its generous reproductions in colour and black and white, provides a delightful, definitive guide to the oeuvre.